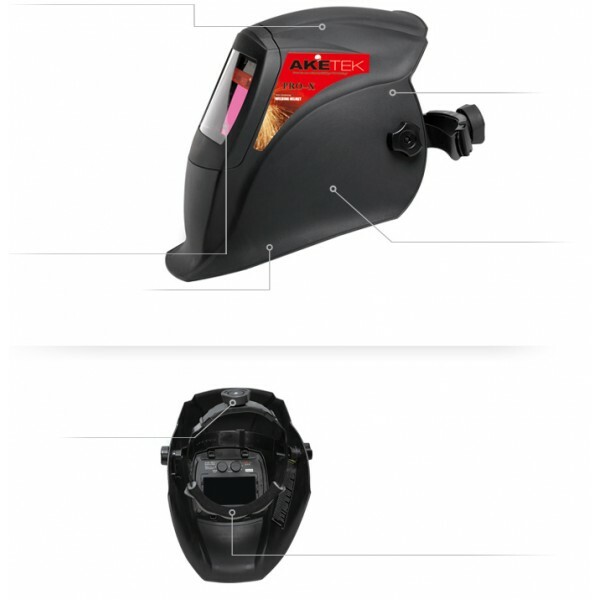 Aketek Pro-X is built on more than 30 Years of expertise and sets a new milestone in welding helmet technology. 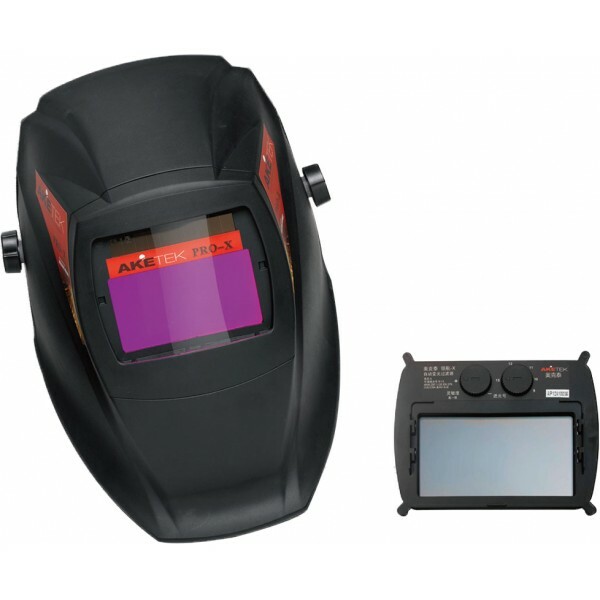 Aketek Pro-X is designed for professional welders who require optimum comfort, trusted protection and ultimate performance. Light State 3, Dark State 8-12. Viewing area 100 x 54mm. 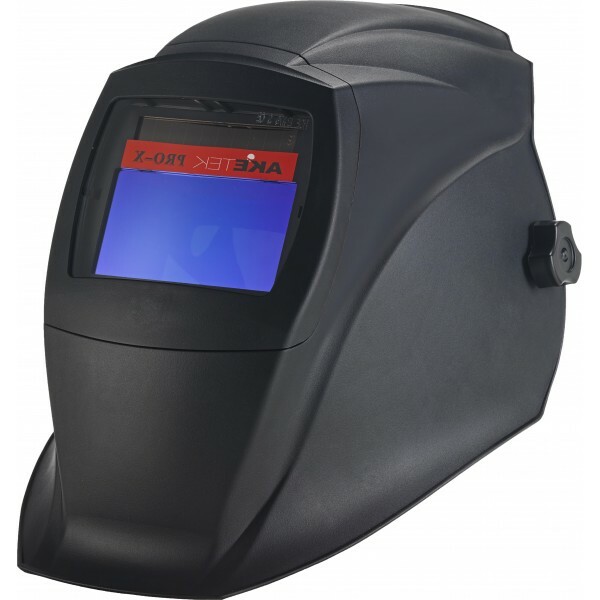 Best clear view before welding. Adjustable shade and light sensitivity. 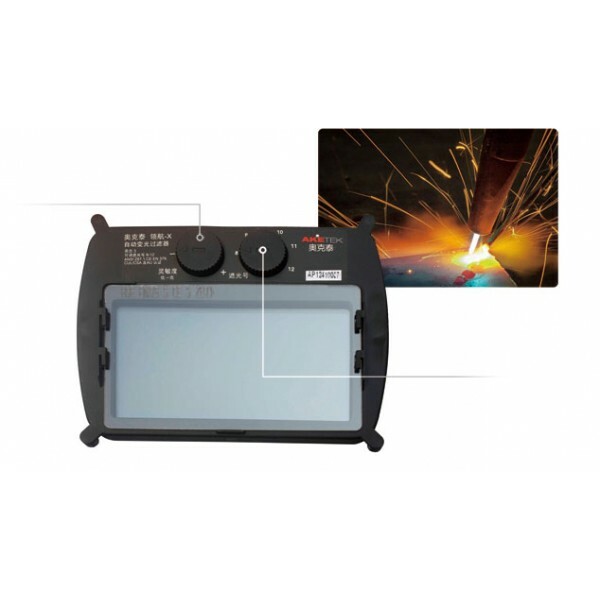 Great for MIG, Stick, plasma and TIG (>5 Amps) Welding. High Impact Lens and Shell. CE-EN 379/175, CSA-Z94.0 and ANSI Z87.1 approvals.